"Cumulative leaf damage offers a two-way perspective, for the impact to the plant and for the sustenance of the grazers," Aaron Macy, a graduate student at the Dauphin Island Sea Lab and the University of South Alabama, explained. 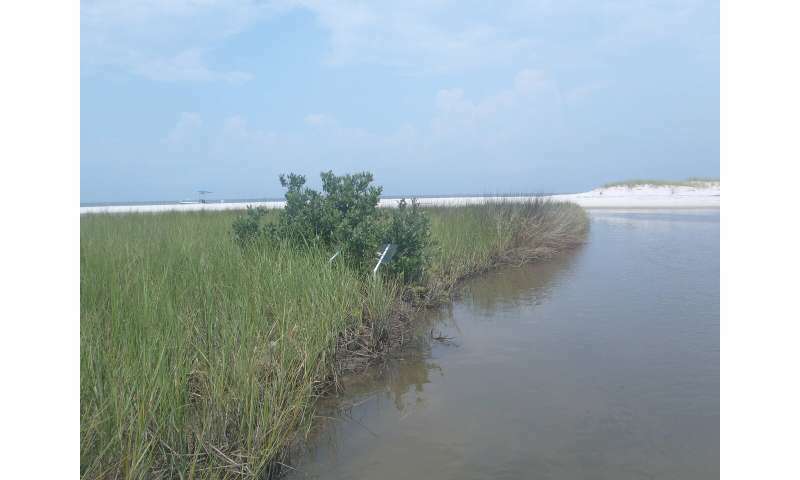 "Reconstructing missing leaf portions of Spartina alterniflora, commonly known as smooth cordgrass, allowed us to consider several possible grazing levels and a greater sampling effort over traditional leaf tagging methods." 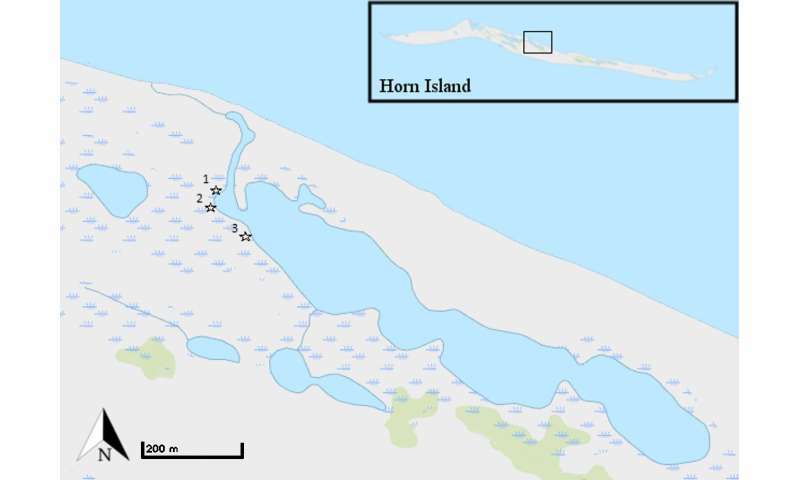 Sample site locations on Horn Island. Click here for larger map. (Courtesy Aaron Macy) Along with leaf reconstruction, the research team used more conventional litter bags to assess how quickly leaf material of each species was eaten by bacteria on the salt marsh floor. Comparing leaf composition from samples, there was a great deal more black mangrove leaf material consumed and ingested than smooth cordgrass. However, more surface area of the smooth cordgrass was removed due to the leaf tips falling off as a byproduct of grazing. The preference for the higher ingestion of black mangrove could be motivated by it's greater nutritional value.